The Rosetta Stone. From my personal files. A major reason for Napoleon’s invasion of Egypt was in order to spread the French Revolution/enlightenment ideas to the Egyptians. To help him with this, he spent a great deal of time trying to get the Egyptians believe that the French were their friends. He often sent leaflets out to the people that claimed that the French were friendly to them but the Mamluks were slave loving tyrants, the people rarely bought this propaganda though. One of the main reasons that his words became irrelevant was because of the extent to which his troops were looting (stealing) from the local population to survive. People were unwilling to believe that their friends would steal from them. he had promised he would. Instead he would choose to use the system for his own benefit instead. This invasion would increase the number of slaves in France also, since his men purchased a lot of slaves to take back with them. Napoleon’s introduction of the printing press during his invasion would become one of the more clearly positive lasting changes that were made in Egypt. This had obviously had a huge impact on European society and would help spark many later movements. While many historians would like to credit Napoleon with helping the Egyptians by bringing this technology, it is quite clear that he brought it for his own good instead of the good of the people. This printing press was used in creating propaganda flyers to hand out instead of for any other use. The press may have actually helped had he been better at using the Arabic language in making these flyers. He would use classical Arabic instead of researching the way it was actually used in modern society. This would lead to the flyers being nearly irrelevant because the people couldn’t read them at all. One often forgotten side effect of this invasion was the scientific advancements that were made by the 167 French scientists that were brought along with the expedition. Napoleon would choose to bring tons of scientists in a large variety of different fields (mathematicians, naturalists, chemists, geologists and more). He wanted them to help the army by doing things like mapping roads, building mills for food and more. It was made clear to them that once they were done doing what he wanted they would be allowed to pursue their own scientific goals. As positive as this sounds, the scientists were treated terribly during the entire expedition, receiving the last of the supplies and housing. These scientists did make a number of important discoveries during their time in Egypt though. 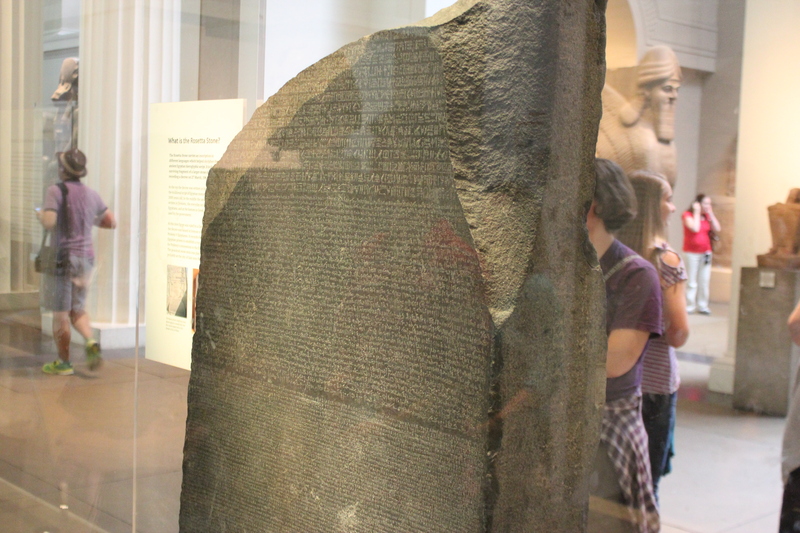 Among the most important was that the Rosetta Stone was found by Pierre-François-Xavier Bouchard (1799). This large tablet would allow a later linguist to decypher the Egyptian hieroglyphic system since it had 2 other languages on it to cross reference with. Napoleon also went looking for the fabled Canal of the Pharaohs that was supposed to have linked the Nile with the Red Sea. Most believed this was a myth, but if he could find this ancient waterway he could help his own trading system immensely (bypassing the need to sail around Africa). He would find the remains of a canal built by Egyptian pharaohs Senusret III and Necho II, but quickly realized that the canal was unusable to him. A canal to link these waterways would be completed 60 years later when the Suez Canal was built. The impact this invasion had on Egypt is often debated by historians, but there are a few concepts that made a definitive impact. This invasion showed the technological and organizational superiority of the west in comparison to the Middle East and North Africa. Many people in these areas would try to catch up to the advancements of the west during this time, which would lead to the modern Middle East as we know it. Soon after, Egypt would modernize and push for independence, which they would gain later. So, in essence, Napoleon set off a domino effect that he may not have been envisioning, but did have a great impact on a section of the world. The impact this invasion had on the French is a side effect that most ignore, but is quite important on its own. Europe would become completely fascinated by Egypt after this trip, and many of the wealthy people of France would want to try everything Egyptian. This would lead archaeologists to be completely obsessed with Egyptian archaeology for the next few centuries. Despite all Napoleon’s negative comments about them, the Mamelukes would become incorporated into the French military and would become Napoleon’s closest allies for years to come. The Mameluke sword would become the traditional officers sword for all western militaries to this day because of the impact they had his army.